Click the logo and order your Gift Certificate today, we'll even deliver it for you, what a deal! The perfect gift for anybody, is the gift that keeps on giving. Well, the Mobile One Club Plan does just that. Purchase car washing and detailing services for the entire year. This is the perfect gift for that someone special or for yourself. That's up to a $85.00 savings. Both vehicles must be detailed at the same time to qualify for this offer. Additional work such as compounding, paint touch up, ozone treatment, etc. would be extra. 10% off the final price. Don't Worry, It's Not Too Late! Do you have an unexplained moisture smell inside your car? Do you have an Odor that won't go away? Do some of these odors get worse in warm weather? 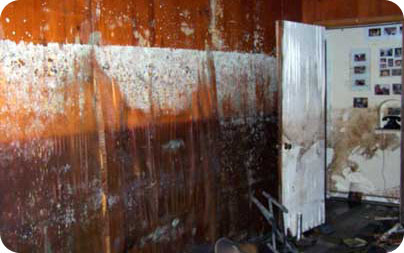 Mobile One Emergency Services is on call for emergencies like flood water removal, water damage restoration, fire and smoke damage, and mold remediation. 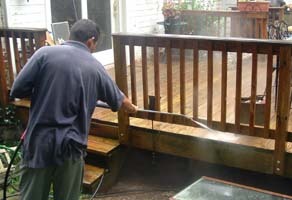 Mobile One Services is a cleaning service business started Bethesda MD in 1992. Currently we are in the Kensington/Silver Spring area. We operate multiple divisions through our main office, one phone call does it all. We are always glad to answer your questions and take your comments. Thank you again for choosing Mobile One Services. Normal business hours are 8am-6pm Monday thru Saturday. Mobile One continues to grow by providing high quality, professional service. Our goal is 100% satisfaction. We understand that your time is valuable, therefore we bring the detail shop to you. We are even available 24 hours a day, 7 days a week for emergency flood water removal service, otherwise our normal service hours are Monday through Saturday 8am - 6pm. 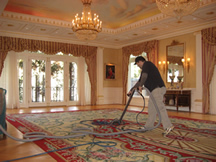 Our crews service most of the Washington D.C. Metropolitan area; please call anytime to schedule your free estimate or service. You can reach us toll free at 877-44-Mobile (877-446-6245) or by email @ info@mobileoneservices.com, thanks again for choosing Mobile One Services. 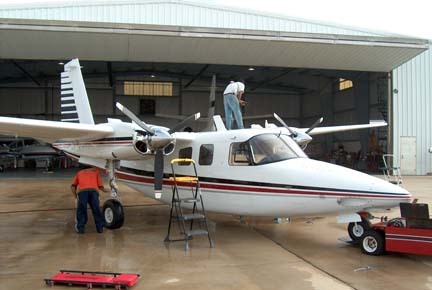 Mobile One has been detailing cars, trucks, and airplanes since 1992, we're at 95,000 vehicles cleaned and still counting. We are Washington D.C.'s largest and most respected mobile detailing companies. Mobile One is fully insured and can provide references upon request. Our crews are professional and experienced. We'll make your detailing experience a great one. All work is done to your satisfaction; we will not leave until you are satisfied. Mobile One Emergency Services is the company to call on for emergencies like flood water removal, water damage restoration, fire and smoke damage, and mold remediation. Mobile One is certified thru the IICRC, and we follow the IICRC guidelines and procedures so we can guarantee we can bring your home back to pre-loss conditions. We offer 24 hour a day 7 days a week emergency service. Ashton, Aspen Hill, Barnesville, Beallsville, Bethesda, Boyds, Brinklow, Brookeville, Burtonsville, Cabin John, Chevy Chase, Clarksburg, Cloverly, Colesville, Comus, Damascus, Darnestown, Derwood, Dickerson, District of Columbia, Gaithersburg, Garrett Park, Germantown, Glen Echo, Glenmont, Highland, Hillandale, Hyattstown, Hyattsville, Kensington, Laurel, Laytonsville, Leisure World, Montgomery Village , Mount Airy, Norbeck, North Bethesda, North Potomac, Olney, Poolesville, Potomac, Rockville, Sandy Spring, Silver Spring , Somerset, Spencerville, Takoma Park, Washington DC, Washington Grove ,West Bethesda, Wheaton, Woodbine, Fairfax, Fairfax County, Ashburn, Waterford, Fairfax County, McLean, Alexandria, Great Falls, Fairfax, Vienna,Falls Church, Centreville, Chantilly, Tysons Corner, Burke, Clifton, Springfield,Arlington County, Arlington City, Crystal City, Washington DC, Washington D.C.